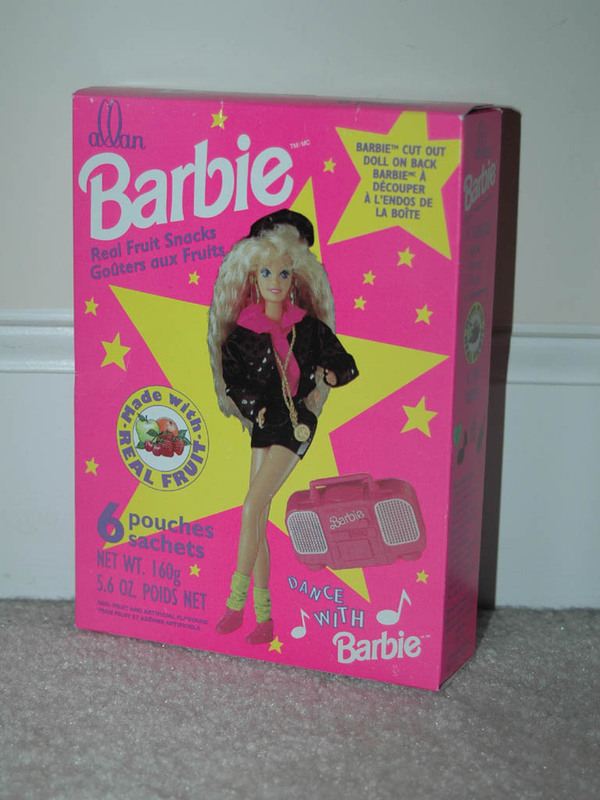 Barbie promotional fruit snacks package with great graphics and Barbie cut-out on back. Product from Canada with both English and French labeling. 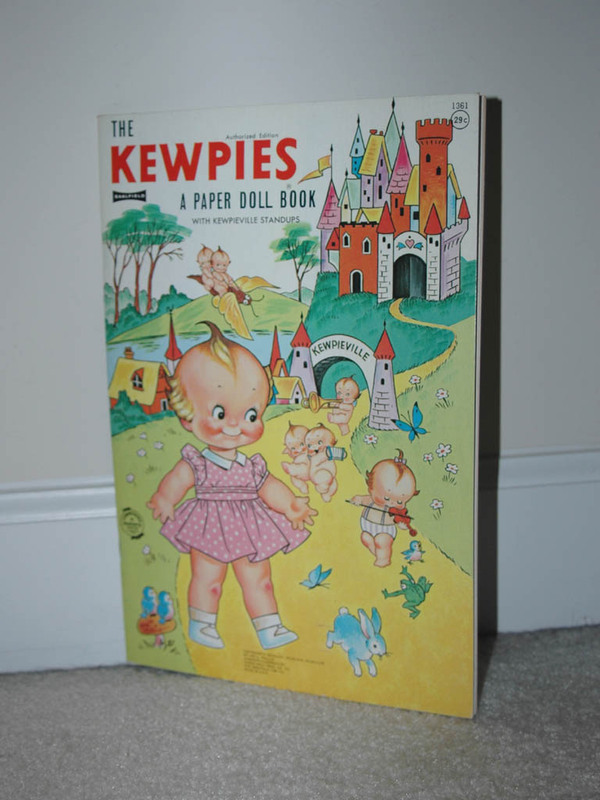 Lovely Kewpies paper doll book comes complete, uncut, and mint condition. Printed by Saalfield Pub. Co. in 1968.